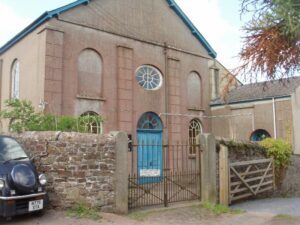 It was not all that long ago when North Tawton had both a Methodist Chapel and a United Reformed Church in the town. Due to falling numbers and aging buildings, the Chapel on Barton Street closed (now the Youth and Community Centre) and the combined congregation met at Lakeway Church at the top of North Street. The time has now arrived when either something quite radical happens to the Church building, or else it will be forced to close.